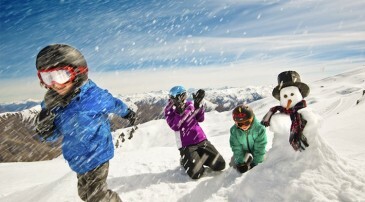 The day dawned cold down in Wanaka as it so often does at the beginning of the season. 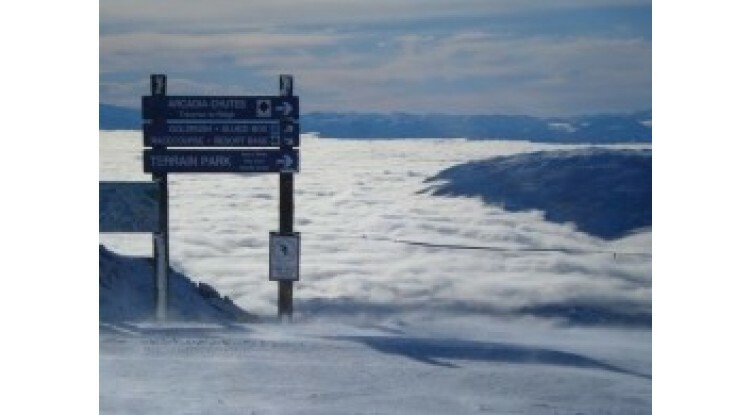 We seem to get a good month of inversion days in June/July which means that while it is dull, grey, and dreary down in town, you can drive up to the ski areas which are all above the clouds, have a wonderful sunny day skiing or snowboarding, and get some amazing views such as this one. As mentioned, Wanaka gets it's fair share of inversion layer days especially in winter, due to the colder air around the surface of the land (in this case it is the snow and the cold lake that causes the cooler lower down temperatures) which pushes under the warmer air creating a thick layer of cloud. A lot of the time this layer will start to disappear around lunch time, but it isn't uncommon for it to hang around all day. You have to feel sorry for all the poor people working down in town when you are up in the mountains in the sun! This photo is taken at the top of Whitestar looking down past Arcadia Basin. It was pretty windy which caused the cool effect of the snow blowing over the surface of the ski slopes. We had fresh powder and a lot of fun!